I would love to say that I am currently enjoying the Blue Ridge Mountains Christian Writers Conference which is going on right now at a place nestled in the mountains just off I-40 in North Carolina–Ridgecrest. This is the second conference I’ve missed since 2006, and I think I’m having withdrawal symptoms. While there I laugh and cry, commiserate with other unpublished writers and hob nob with the rich and famous published authors (I know there are those laughing at my comment, but hey, I’ve had the pleasure of being critiqued by none other than Jerry Jenkins who has sold over 70 million copies of his Left Behind books). That’s beside the point, though. I still took the week off from work with the idea that I’d have my own little writers conference at home where I’d sit on my back porch, edit my finished novel, and read writing craft books and a few novels. 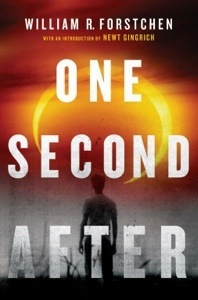 I stumbled across a book called One Second Later by William Forstchen about the consequences of an EMP attack(I have slight prepping tendencies, which, when coupled with my novel writing tendencies, makes me a very crazy person). I chose to read the book this week. The book is set in Black Mountain, NC which is right there at Ridgecrest, where I long to be. 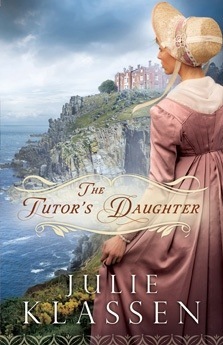 Usually I would not recommend novels with language that offends me, and this book has many instances where I cringed, so I’m not recommending it. The most offensive to me is the Lord’s name in vain, though some would say it is writing real. The book, however, has opened my eyes to some things I need to do for my family as a precaution. I would feel perfectly well supplied if I had water, and heat in the winter, but one thing the book made me realize is how important our medical services are. My son takes a medication that he agrees is as necessary to him as food. He could get by without it for a month, but after that, he’d start experiencing seizures that would eventually kill him from lack of sleep–essentially they would drive him mad. The book was intriguing to read because I’m familiar with the setting, but also because it has raised an awareness about how dependent we are on our electrical grid. Scary stuff. Read it at your own risk. You’ve been warned.